It’s autumn here in southern Oregon and the local cranberry bogs are sharing their abundance. This recipe combines these beautiful cranberries with two other seasonal favorites – apples and grapes – to create a sour sweet cold-pressed juice bursting with flavor and the phytonutrients cranberries are valued for. 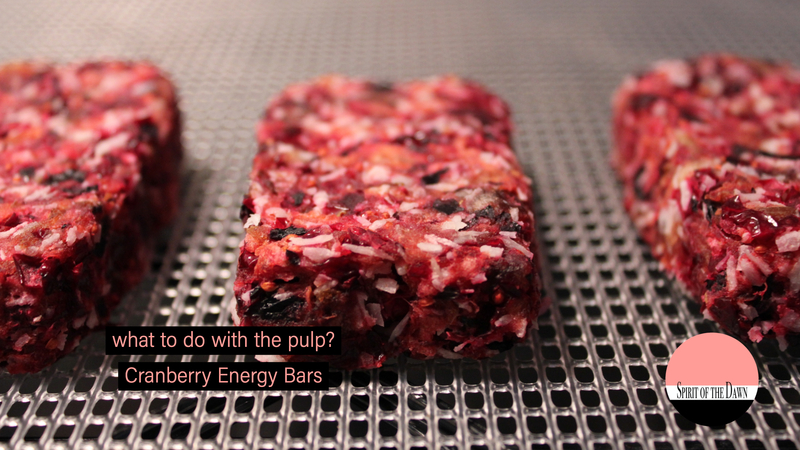 The nutrient-rich pulp is used to form the base of fun Cranberry Energy Bars! This recipe was created with a Hurom juicer. Adjust these instruction to work with your slow juicer. Set up the juicer so that the Juice Cap is closed and the Pulp Control Lever is in the open position. Turn the motor on and begin adding the ingredients alternating between cranberries, apples, and grapes till all of the fruit is juiced. Pour into glasses and enjoy! The pulp is super nutritious and delicious. 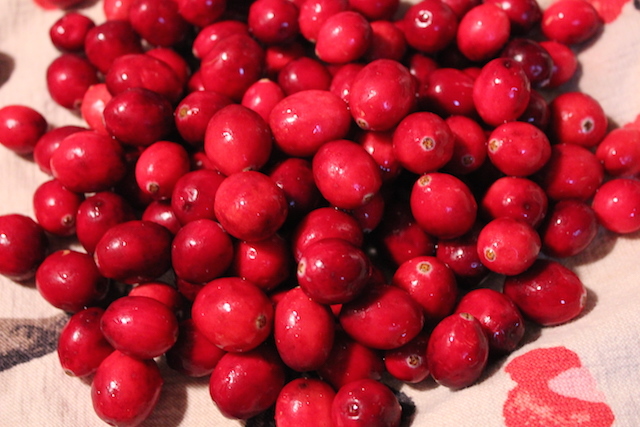 Use it to make tangy Cranberry Energy Bars. See recipe below. Created from the pulp that is produced from slow juicing the cranberries, apples, and grapes, these Cranberry Energy Bars work wonderfully as a mid-morning snack or afternoon treat. Place all ingredients in a food processor and process till mixture is combined and dates are chopped into smaller pieces, stopping to scrape down sides as is necessary. Finished mixture will still have lots of texture. Form mixture into five 2-ounces bars and place on a lined dehydrator tray with a mesh sheet. To form bars, weigh portions of mixture with a scale or divide mixture into 5 equal portions. Compress each portion in your hands and form into a bar on a flat surface. Dehydrate at 115° for 2 hours. Remove lining and continue dehydrating for 2 more hours on the mesh sheet. When done, the bars will be dry to the touch with a moist interior with a taste and texture similar to a delicious cranberry muffin. When cool, wrap individually in plastic wrap. 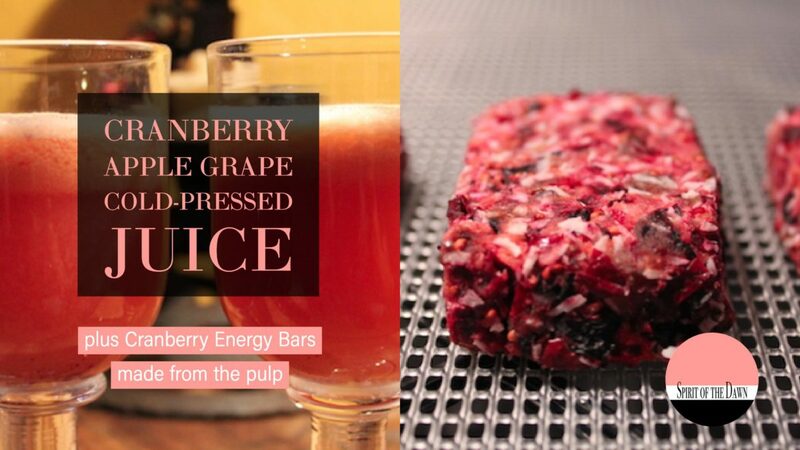 These Cranberry Energy Bars work wonderfully as a mid-morning snack or afternoon treat.